You gotta admire grit combined with intelligence and humour. Jancis M. Andrews' angry and fascinating The Ballad of Mrs. Smith (Hedgerow 2013) brims with all three. Having been raised in an abusive home, she ran away and became a juvenile delinquent. After she gained a Creative Writing degree at age 53, Andrews was left by her husband ten years later. When he refused to pay alimony, her life cascaded from the British Properties to the Downtown Eastside. At 65, she had to lie about her age to get a job as a cleaner in a boys' school in England. While living in Sechelt at age 78, she penned a bristling poetry memoir about a fictionalized character named Mrs. S. who undergoes similar experiences. It was nominated for the City of Vancouver Book Award. Jancis Maureen Andrews writes as Jancis M. Andrews. She was born in Bartram Place, a pit village in Northumbria, England. At 14 she ran away from a violent and abusive home life and refused to go back to school. She was placed in reform school and classified as a juvenile delinquent. She joined the Women's Royal Navy at 18, serving in Malta as a radio operator. She married a sailor when she was 21. 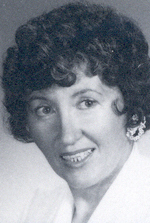 Emigrating in 1965 with her husband, son and daughter, she moved with her family to West Vancouver in 1971. She started correspondence courses at age 37 (grade 9) in order to complete high school, then moved onto studies at Capilano College. Her critically acclaimed short story collection, Rapunzel, Rapunzel, Let Down Your Hair, appeared in 1992, published by Ron Hatch, who had only recently started Ronsdale Press. She has also contributed to the anthologies The Heart of the Community (New Star, 2003), How I Learned to Speak Dog (D&M, 1995 and The Book of Eros (Pond and Russo, Harmony Press, NY, 1994). Her second short story collection, Walking on Water, was released in 2009. She acquired her B.F.A. (UBC) when she was 53. "My husband walked out after 43 years, wouldn't pay wife support, so at age 65 I worked as a cleaning lady to help me buy my little house here in Sechelt, where I invited two homeless cats to live with me. Now the three of us sleep in the same bed, which is highly uncomfortable (for me, not them)." The ten stories in Jancis M. Andrews' Walking on Water (Cormorant $21) reflect her residency on the West Coast, centred on Vancouver, as well as her memories of surviving the London blitz. Her autobiographical Blitz story "Country of Evil"; won Event magazine's non-fiction award and was a finalist in the Western Magazine Awards. The other stories are primarily fictional. AWARDS: Non-Fiction, "Country of Evil," Event, Oct. 2003; 1st prize, "Grandmothers in Chinatown" Vancouver Sun, 1991; 3rd prize, "Mrs. Smith Learns She Has a Brain Tumour," Portraits, Puyallup, WA. 1989; Bankson Mem. Prize, (novel) UBC, 1985. Jancis M. Andrews' first collection of short fiction, Rapunzel, Rapunzel, Let Down Your Hair, was published by Ronsdale Press in 1992. Seventeen years later, she has returned to print with ten stories that comprise Walking on Water. In the title story, Lucy Gustavson has been the lead soprano at St. David's Church for forty years-so no wonder she can't hit all the notes anymore. Now the church choir will be singing before the Queen, and poor Lucy has just learned that someone else will sing her Easter solo. Lucy overcomes her crushing disappointment by finding meaning in happenstance, and even takes advantage of it. Life is full of struggle and dashed hopes, so Andrews is much concerned with glimmers of redemption. In 'Balancing,' Annie, a housewife and mother trapped in an abusive relationship, tries to find an emotional outlet by anonymously hurling back as good as she gets. Luckily, she's thrown a lifeline by the sympathetic and saint-like doctor she has targeted for her vitriolic phone assaults. In 'Phoenix Rising,' Phoebe crawls up and out from her devastated marriage to try for a little of that elusive happiness, and with a title like 'Phoenix Rising,' it appears her attempt may pay off. In 'The Hour of Miss Frith,' Megan Smith of Ladies Hats in the crumbling Laidler's Department Store puts up a heroic defense as she and her hats go down in dignified defeat. Although some of the characters in this collection seem stereotypical, I loved this feisty senior. The story is sadly humorous, the characters and their actions are credible, and Miss Firth stands alone in her heroic and ludicrous nobility. 'Scheherazade at Noon' gives readers a close-up of an obese, obsessed woman, and the sister who tries to save her from a lawsuit. In 'Johnny, I Hardly Knew You,' schoolmates Johnny and Marjorie reunite far too late. Johnny realizes that for years he has been brushing up against the love of his life. I wish I could care more about Johnny and Marjorie, or Phoebe, or those prickly sisters in 'Scheherazade at Noon,' but ultimately it's only Miss Frith who rose up to claim my affections. Some of Andrews' images are too obtuse. For example, I had difficulty with 'workmanlike teats' ('Moon Calf') or the 'rotating balloons' that made up Kathy's gargantuan bum. ('Scheherazade at Noon'). A stronger impression is made by the autobiographical 'Country of Evil' which won Event Magazine's creative non-fiction contest. It focuses on the blitz of London and the realization of a seven-year-old girl that evil is ubiquitous and faceless. Raised in England during W.W. II, Jancis M. Andrews ran away from a violent home when she was 14, so there's little doubt she has had first-hand experience of the evil she writes about-or the disappointment. Having joined the Women's Royal Navy at 18, serving in Malta as a radio operator, Andrews married a sailor at age 21 and immigrated to Canada with her family in 1965, at age 31. She moved with her family to West Vancouver in 1971. At 36 she went back to school to finish her last four years of high school. At 53, she went on to obtain her M.F.A. from the University of British Columbia. Jancis M. Andrews can still hit the high notes in fiction. But the strength of 'Country of Evil' makes the reader wonder if perhaps more autobiographical works are meant to follow.